Comment: This cabinet piece is liberally covered with tiny spherical aggregates of microscopic, needle-like rosasite crystals. 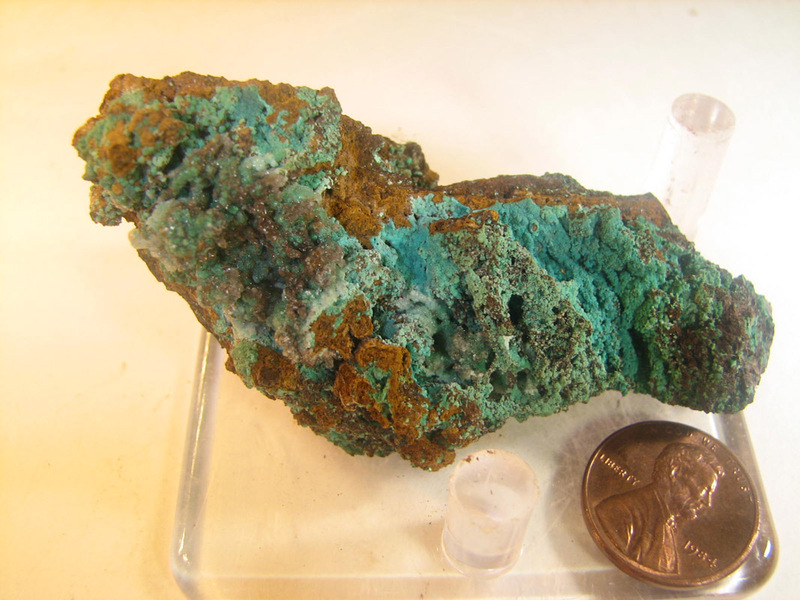 The vivid blues and greens contrast sharply with the rusty color of the limonite gossan matrix. Rosasite is closely related to azurite.